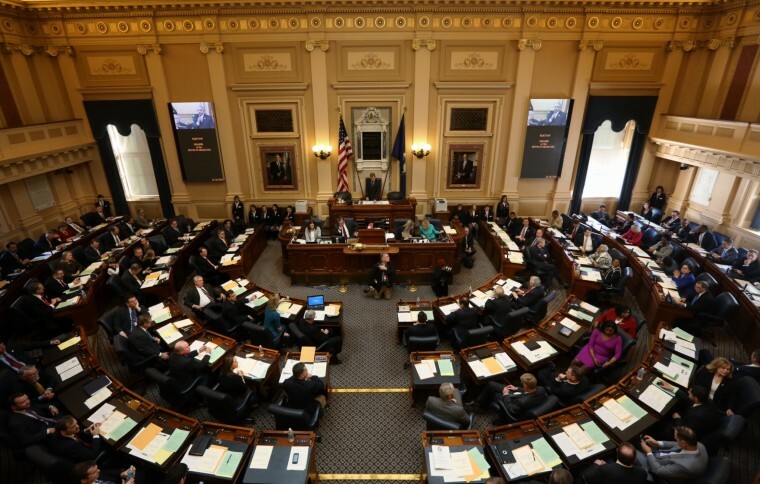 The Virginia General Assembly has completed its work for 2017. These past few months had promising results with regard to the death penalty. A harmful bill that would expand the number of death penalty eligible crimes (SB 790) died a quiet death in the Senate with substantial bipartisan opposition. VADP worked with the Virginia Catholic Conference, the ACLU of Virginia, and National Alliance on Mental Illness of Virginia – with support from the American Bar Association – on legislation that would prohibit the execution of people with serious mental illness (HB 1522). Op-eds supporting this SMI bill were published in the Richmond Times-Dispatch, the Virginian Pilot, and the conservative Jefferson Policy Journal. Thanks to the great work of our partners and legislative patron, Republican Del. Jay Leftwich of Chesapeake, two Republican members of the House Criminal Law Subcommittee joined all Democrats in favor of the bill. While we fell one vote short of moving the bill to the full Courts of Justice Committee, we did gain the support of the Republican Chairman of the House Courts of Justice Committee, Delegate David Albo of Springfield. This was a major step forward! In the Senate the SMI bill was introduced for the first time, and we were able to discuss its merits with key legislators in the Courts of Justice Committee. Unfortunately, it was defeated on a party-line vote. But we are hopeful about building bipartisan support for the legislation in the Senate next year. It often takes 3-5 years for new legislation such as the SMI bill to build enough support to be passed into law. We feel that 2018 could be the year when we pass the bill in the House of Delegates. VADP is proud to release the electronic version of our 2016 annual report which includes our accomplishments, financial status, and statements from supporters like you. There are many challenges ahead to ending capital punishment here in Virginia. But we made great strides toward that goal in the past year. VADP increased its partnerships with the mental health community, placed op-eds in major media outlets, and organized educational events across the Commonwealth, in addition to our legislative work. With your continued support we can continue making progress toward ending the death penalty here in Virginia.